Situated on The Halfpennys' property in the Hill Country southwest of Austin, Texas, Back Forty Studios are housed in a 480 square foot rustic ranch-styled structure with views of the surrounding hillsides from the porch. Inside, the deep earth tones and textures mix with modern electronics to meld functionality with inspiration. The fifty-six input Mackie analogue console feeds into a dual processor Macintosh G5 loaded with Pro Tools, Digital Performer, WAVES Platinum bundle, Reason, and an assortment of virtual instruments. The two lockable Tascam DA88's can be used in tandem to make for an almost limitless amount of digital audio tracks. In addition to the computer-based digital effects plug-ins, an array of analogue rack gear that includes Avalon, DBX, Lexicon, Presonus and Alesis is within easy reach of the console. Audio monitoring can be selected between the 8" Event Studio Precision's and 6" Tannoy PBM6.5's. The mix can even be routed out to the porch to overhead consumer speakers. 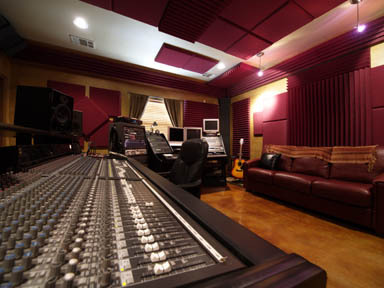 Final mix downs can be exported in a variety of file formats and can also be mastered to CD. 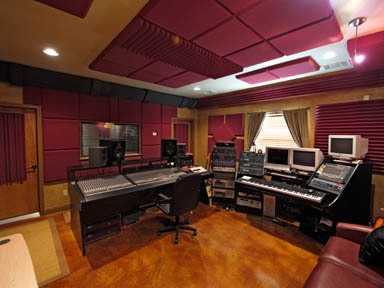 The spacious control room, which has been professionally tuned by Mark Genfan of Acoustic Spaces, has enough volume for talent and producers to coexist comfortably. 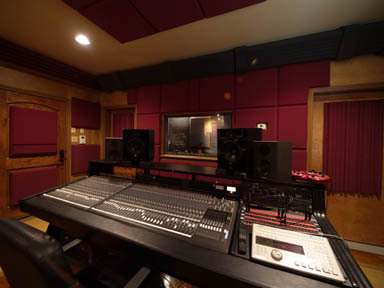 A 96 square foot isolation room has plenty of jamming space for a good sized trap set and consequential vocal/instrumental overdub isolation and an additional 48 square foot storage/iso room can be used for recording "scratch tracks" when live band and/or multiple string setups are desired. As for sounds, the synth/sampler rack is stacked with Roland and Kurzweil rack modules and a separate, dedicated PC is loaded with gigs and gigs of mega-samples powered by GIGA STUDIO software. MIDI is controlled from an eighty-eight key, fully weighted Kurzweil keyboard controller. Everything is lockable to video and is kept rock-solid with house-sync. 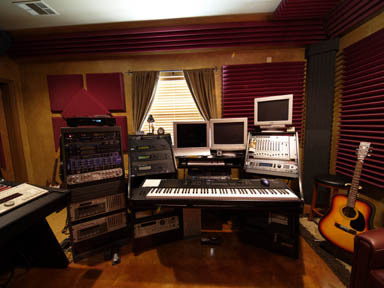 A video editing suite is located at a separate digital workstation housing a Mac G4 loaded with Final Cut Studio, After Effects, Photoshop and Illustrator. 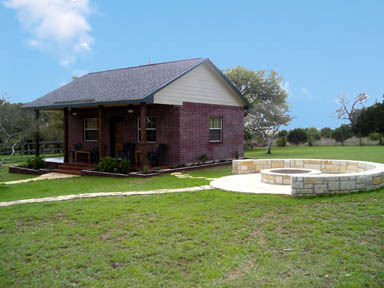 Outside amenities include a fire ring, a horseshoe pit and two friendly dogs, "Boomer" and "Nixie" waiting to play fetch.